Staz-On ink pads are made with permanent, fast-drying solvent ink. They’re designed especially for plastic, metal, glass, ceramics, laminated paper, coated paper, and leather. These ink pads are recommended for shimmer envelopes. 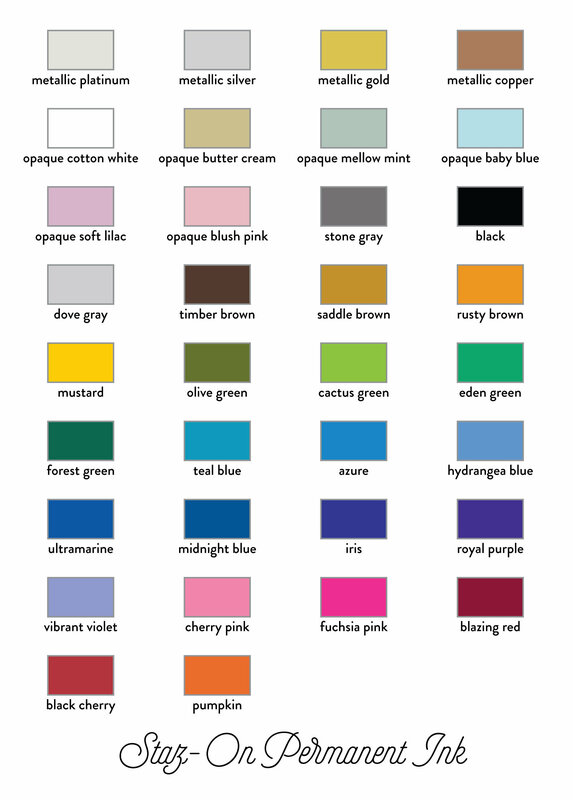 Please note: the colors listed as "opaque" are the only ones recommended for dark paper.